The last time I moved, I was in undergrad and I moved my things out of my room at my parents’ house into a tiny studio apartment. I was mostly able to fit everything into my Honda Accord and it took one trip with a truck to move my bed. Easy peasy lemon squeezy! That was like, years ago. So, when I was planning for this move, I thought back on it and estimated about the same time/work commitments. Let me just tell you now that I definitely, definitely, definitely underestimated how crazy moving an entire house is! We officially “moved in” to our new place last Monday! All in all, it’s been an awesome (but time consuming) adventure and I’ve definitely been keeping notes of things that I liked/didn’t like about how we did it. 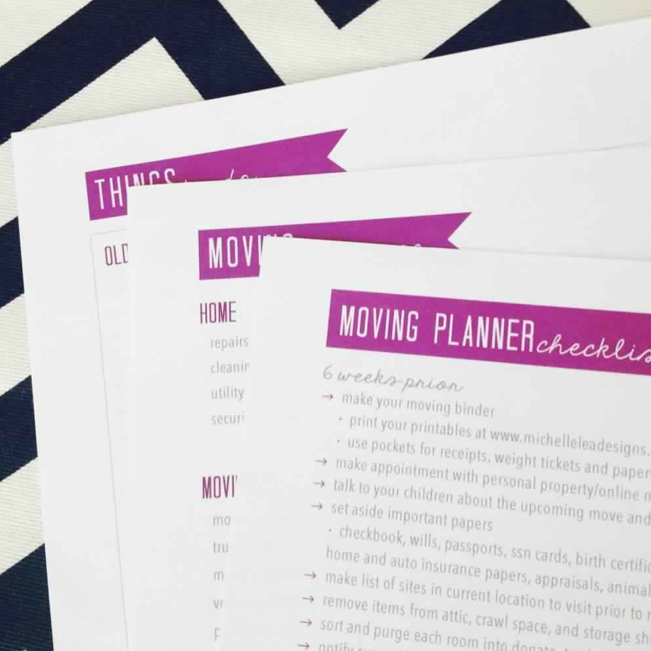 So whether you’re moving across town or across country soon, here are some ways to keep some order (and sanity) during your move! You really cannot start paring down your things soon enough. 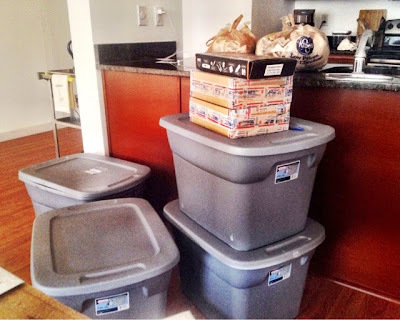 We knew this move was coming for about a year, so I gave full trash bags of things away monthly. And you know what? I still felt like I had too much stuff! 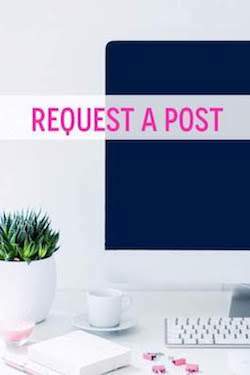 This is the perfect time to get rid of clothes you never wear, decor that you’re tired of, or things you never liked to begin with! I found one that I absolutely loved on Michelle Lea Designs! 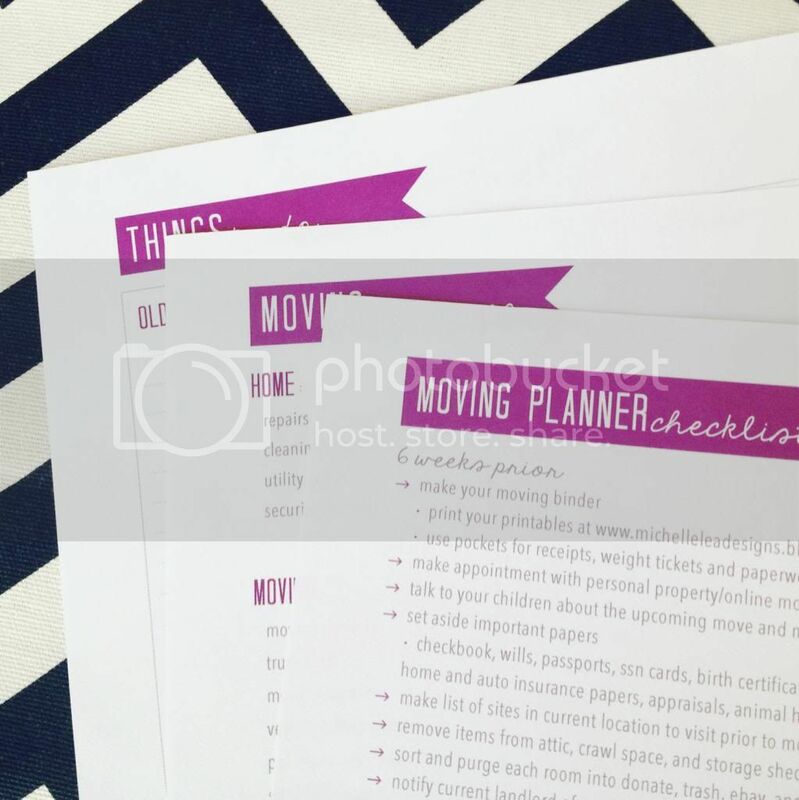 She creates beautiful printables PLUS she’s a military wife, so she’s moved multiple times! Her checklist contains literally every single thing you could possibly need to do. It also divides things by a timeline which was my favorite thing about it! Print it out, cross out the things that don’t apply to you, and write your date deadlines next to each heading! Luckily, before our move, we had already seen our new space in person. As soon as we left the new place for the first time, I grabbed a piece of paper and created a quick floor plan of it. Then I drew in where I envisioned everything going. When I got home, I arranged furniture, lamps, etc. how I wanted them to look in the new place and photographed them. This way, when I started to unpack things, I already knew where almost everything was going! We kind of had a 2-step process with our labels. 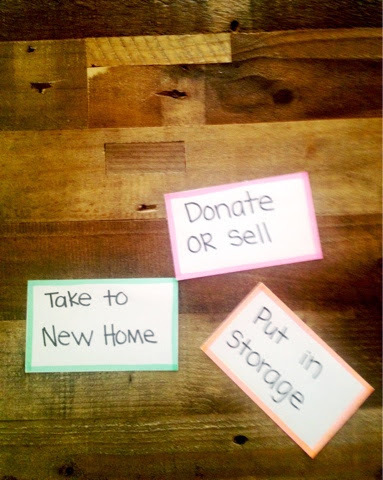 We got the ones that people use for yard sales that come in 3-color packs and created a color-coding system: Green for “Take to New Home”, Pink for “Donate”, and Orange for “Storage”. Then we literally stuck one on every item in our home! 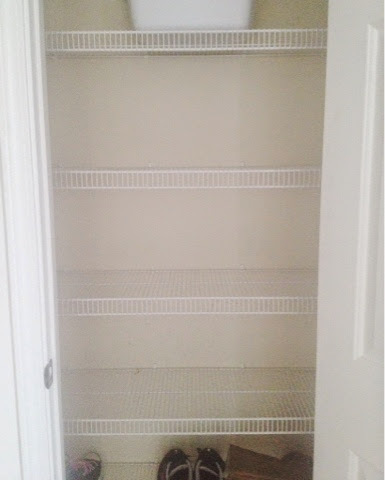 Once I knew where things would be going, I wrote on the labels: “bedroom", "dining", “living”, etc. This made packing an absolute breeze! Finally, (I know some people say to pack things by their size but) I would really suggest packing by room! This way, you just need to label the bin/box according to its room and drop it off there during the move! It also makes it way easier to unpack the things and decorate once you’ve arrived! Finding homes for things this way was SO simple! Also, this way you can prioritize which rooms you’ll need to set up immediately and which ones can wait. 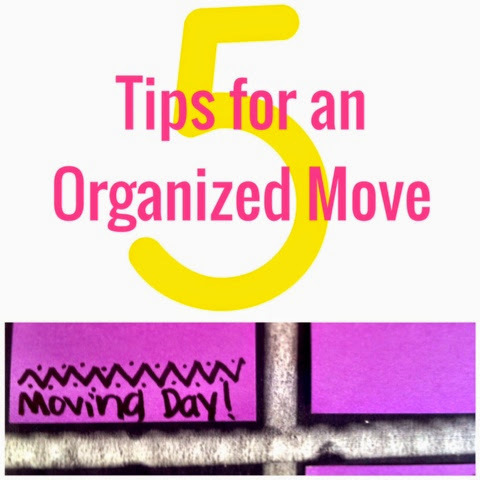 Are you moving over the summer? Or have you recently moved? If so, Where?! And what advice do you have for others?